Here’s one of our more recent roofing projects we performed in Lexington. 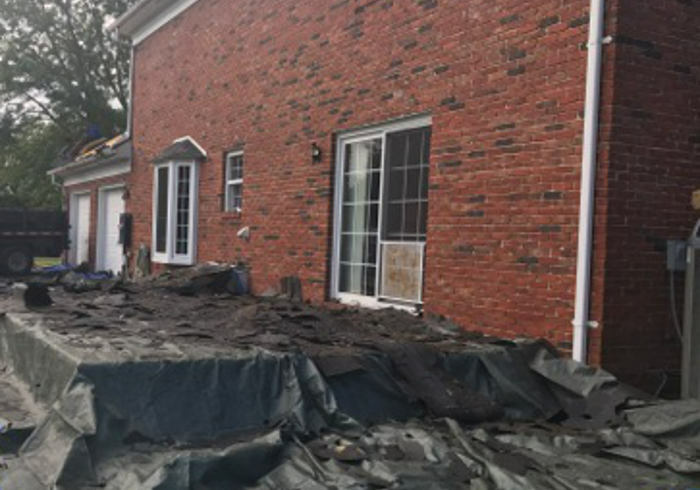 This particular homeowner took our advice after their roof had been impacted by hail. 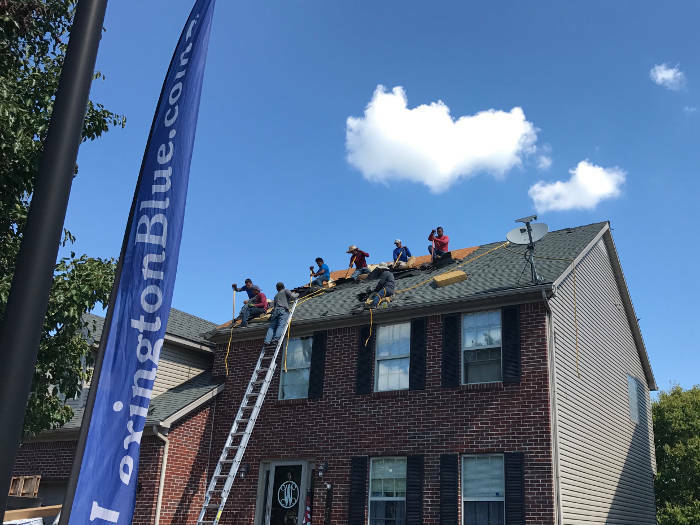 After we assisted them with their options for insurance, they were able to fully replace their entire roof for only the cost of their deductible. Prior to starting this project, we had all materials delivered on site. Our first step was to remove all existing roofing material so we could start with a clean slate. Because removing old material is a process of ripping, scraping and basically tearing away the old components, it can cause debris to scatter. 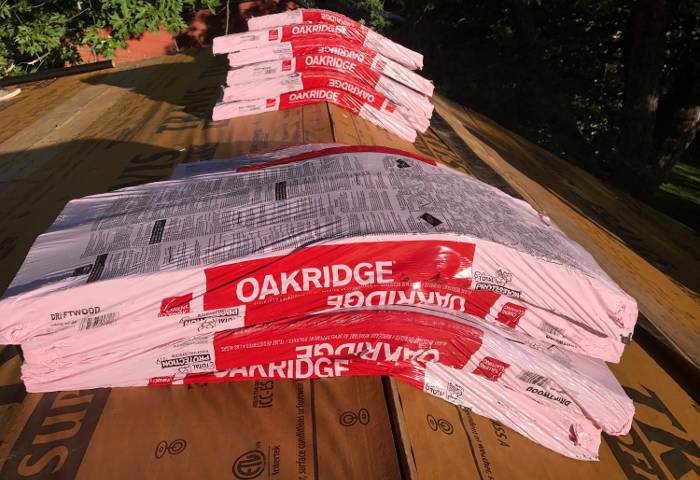 To ensure that we didn’t litter the home’s yard and landscaping with these leftover materials, we added a preventative layer by laying down a tarp to capture this debris. 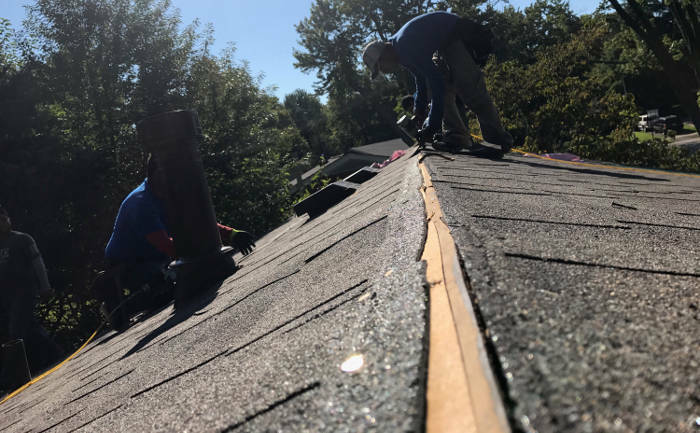 Once we had all pre-existing materials removed and we inspected the wooden decking, we were ready to start preparing the surface for the shingles. Here’s the surface after removing all pre-existing material. 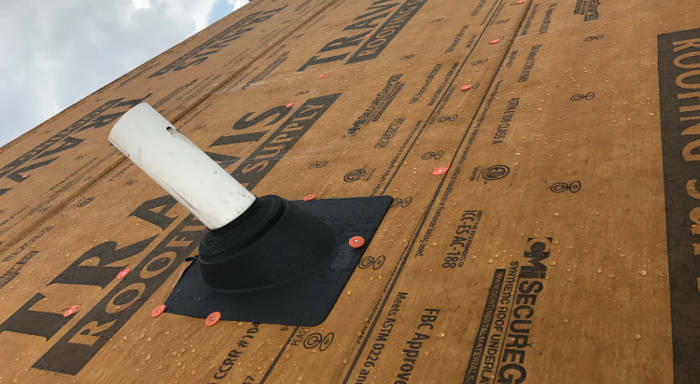 Before we installed the shingles we added an extra layer of protection with synthetic underlayment. 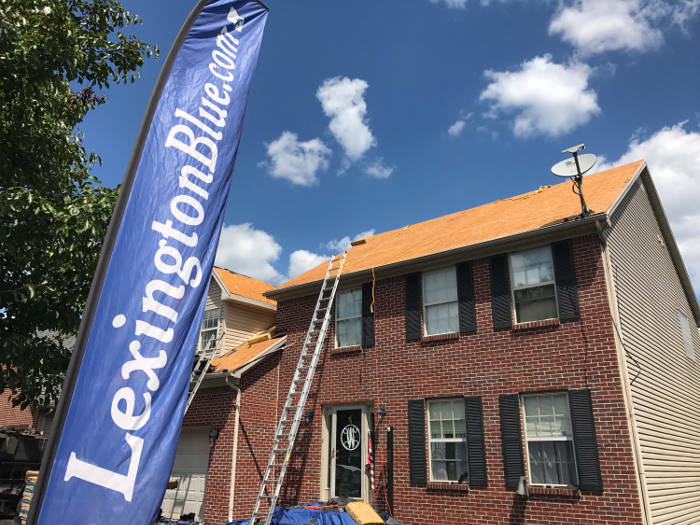 This material is not commonly used by most other roofers in Lexington. We use it because it lasts longer and is far superior to traditional roofing felt. This extra expense we incur is worth giving our clients peace of mind and quality assurance. This project, as with all of our projects, wouldn’t have been up to our standards of quality without using premium products. We used Owens Corning architectural shingles for the installation. Here’s our crew beginning the shingle installation. Here they are putting on the final finishing touches. Here’s the final completion of this roofing project. Has the out of pocket expense been your only reason for not giving your home a new beautiful roof? Many of the roofs we inspect for free generally have some type of weather related damage. 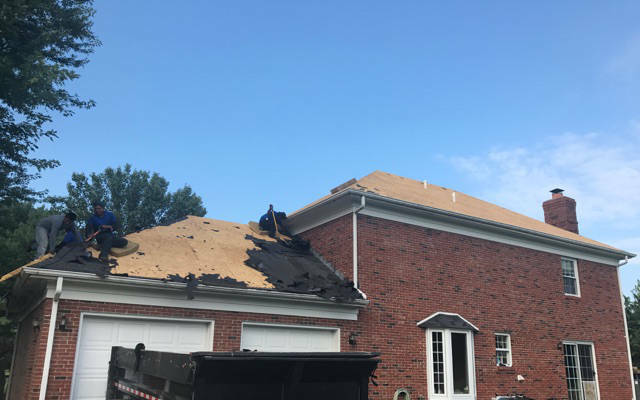 Although we can’t guarantee any specific outcome, you may be able to get your roof completely replaced just as this homeowner did without the investment.